Back on the market!!!! 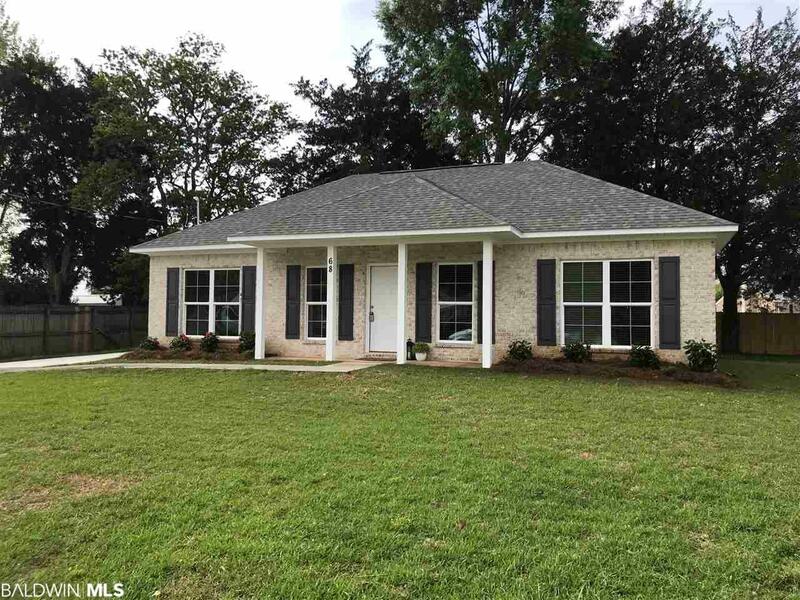 Newly built 3/2 brick with split floor plan on cul-de-sac. Contemporary white brick with luxury vinyl flooring, granite counter-tops in kitchen and baths, 9&apos; Ceilings and Stainless appliances and architectural shingles. Located just off US 59 in Loxley, about 2 miles from I-10 and centrally located between Mobile and Pensacola. Home does require flood insurance. Quote should be from $400-500/yr. This house is built 2 feet above surrounding homes and they have never flooded. Do a drive by and see what you think. Listing agent owned. Directions: From Us 59 And Cr 55 East On 55 To First Left On Steele Lane. Home Is On The Left In The Cul-De-Sac.